Marlys Donnella Haaland, 89, of Grayslake passed away on Friday, February 22, 2019 at her home. She was born on September 4, 1929 in Columbus, ND to Carrie Mae and Leonard Theodore Erickson. She grew up in North Dakota, and attended Minot State University and went on to teach elementary school. While raising five children, Marlys became active in many service organizations. She was active in an international sorority, Beta Sigma Phi, receiving The Rose Award given for over 15 years of service. She was also very active at the Lutheran Church of Martha and Mary in Mt. Prospect from teaching Sunday School every year to being on the church council. She returned to work 1983 at United Airlines in the Case Management Department and worked 9 years until she retired. Marlys was very active in the Order of Eastern Star and served at the local chapter and at the State level. She was always looking for ways to build a better future of women and the community. She was very active in Mt. Prospect Women’s Club, Past President and JM Chapter PEO (Providing Education Opportunities) for women. Marlys was appointed to the Mt. Prospect Planning and Zoning Board and served 5 years before she officially retired from her volunteer work. Her biggest loves included her family, spending time with her grandchildren and her newest great-grandchildren, and especially her collie dogs. She is survived by her husband, Sig Haaland of 67 years, they were married on July 11, 1951 in Hazen, North Dakota. She is further survived by her children, Mark Haaland (Colleen) of The Colony, TX, Kurt Haaland (Brenda) of Katy, TX, Bruce Haaland (Lori) of Streamwood, Karen Colby (Steve) of Grayslake, Rick Haaland (Alicia) of Wylie, TX; many grandchildren; two great grandchildren; and her brother, Gary Erickson (Noreen) of Montevideo, MN. She was preceded in death by her parents, Mae and Leonard Erickson. A visitation and funeral service is scheduled for Saturday, March 2, 2019 from 11:00am until 1:00pm with the funeral service commencing at 1:00pm at Strang Funeral Chapel & Crematorium, 410 E. Belvidere Rd. Grayslake, IL 60030. Interment will be held privately. Donations can also be made to Easter Star Home in Macon, Illinois. For more information please contact (847)223-8122 or log onto www.strangfuneral.org. Susan A. Stauner, 98, a resident of Grayslake, IL, passed away Saturday, February 16, 2019 at her home. She was born October 11, 1920. Susan was a member of St. Gilbert Catholic Church and Saint Mary’s Women’s Club. Susan is survived by her children Dolores (Bill) Spung, Ray (Nancy) Stauner, Marge (Bruce) Gilbert, Joanne Stauner, Joseph (Mary) Stauner, Mary Sue (Mike) Hendel, Larry (Yvette) Stauner, 17 grandchildren, 13 great-grandchildren, brothers Walter, Eugene, and Bernard, sisters Mary and Eileen, and her loving caregiver Tanya. She was preceded in death by her husband Joseph, 3 brothers, and 3 sisters. A visitation is scheduled for Thursday, February 21, 2019 from 4:00pm until 8:00pm at Strang Funeral Chapel & Crematorium 410 E. Belvidere Rd. Grayslake, IL 60030. The funeral service is scheduled for Friday, February 22, 2019 at 10:00am at St. Gilbert Catholic Church, 301 E. Belvidere Road, Grayslake. Interment will be held after the services at St. Mary Cemetery in Buffalo Grove, IL. For more information please contact (847)223-8122 or log onto www.strangfuneral.org. information please contact (847)223-8122 or log onto www.strangfuneral.org. away Tuesday, February 12, 2019 in Elkhorn, WI. parents and her sister Mary Ann (Jim) Hansen. A visitation and funeral mass is scheduled from 9:00 a.m. until 10:00a.m. with a funeral mass commencing at 10:00a.m. on Saturday, February 16, 2019 at St.
will be held privately. 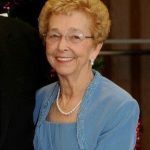 In lieu of flowers, memorials may be made to the St.
Maureen S. Combs, 71, a resident of Lake Villa, IL, passed away Friday, February 8, 2019 at Highland Park Hospital after complications from an auto accident. She was born June 19, 1947 in Chicago, IL to Russell and Meredythe Scurto. Maureen is survived by her husband of 47 years, Russell, her son Alex (Kelley) Combs, her grandson Bennett Combs, her siblings Peter (Peg) Scurto and Jane (Gerry) Manarik, her nieces Sarah Scurto and Rebecca Scurto, her nephews Gregory Manarik and Jonathan Manarik, and her great-nephew Camden Manarik. She was preceded in death by her parents and her son Stephen Combs. Maureen was a graduate of Round Lake High School and earned her B. A. degree from Southern Illinois University. She was a teacher for many years, most recently in special education where she was a staunch and passionate advocate for her students. 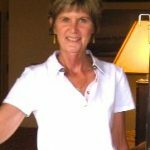 She also worked in the corporate world for several years as an editor and advertising manager with Lakeland Newspapers, MacMillan Publishing and the Chicago Sun Times. She was a lifelong member of St. Andrew Episcopal Church in Grayslake. A visitation and funeral service is scheduled for Saturday, February 16, 2019 from 9:00 a.m. until 12:00 p.m. with a funeral service commencing at 12:00 p.m. at Strang Funeral Chapel & Crematorium 410 E. Belvidere Rd. Grayslake, IL 60030. Interment will be held privately at Grant Cemetery in Ingleside, IL. For information, please call 847-223-8122 or visit www.strangfuneral.org. born July 13, 1925 in Chicago, IL. Cadence, Lane, Mason, Cody, and Sophia. from 9:30 a.m. until 11:30a.m. with a funeral service commencing at 11:30a.m. on Friday, February 8, 2019 at Strang Funeral Chapel & Crematorium 410 E.
John M. Tomasello, age 86, a resident of Gurnee passed away on Saturday, February 2, 2019 at Sunrise Assisted Living. He was born on February 22, 1932 in Chicago to Joseph and Rose Tomasello. He was a member of St. Gilbert’s choir, Knights of Columbus, VFW, Optimists of Des Plaines, Viking Park Singers and the Motorola Retiree Club. John is survived by his daughter, Roseann Mace of Grayslake; grandson, Brian Mace of Grayslake; and brother, Joseph of Hanover Park. He is preceded in death by his wife, Kathleen; son-in-law, Dave Mace; brother, Frank; and sisters-in-law, Jenny and Rita. A visitation is scheduled for Monday, February 4, 2019 from 4:00pm to 8:00pm at Strang Funeral Chapel, 410 E. Belvidere Road, Grayslake, IL 60030. A funeral mass is scheduled for Tuesday, February 5, 2019 at 10:00 a.m. at St. Gilbert Catholic Church, 301 E. Belvidere Road, Grayslake, IL 60030. Interment will follow at Ascension Catholic Cemetery in Libertyville, Il. For more information on services, please call (847)223-8122 or visit www.strangfuneral.org. Jeanne Marie Hansen, age 84, of McCullom Lake passed away January 10, 2019 at her home. She was born November 17, 1934 in Chicago to David and Helen (Workowski) Poirer. Memorial services will be held Saturday, February 16, 2019 at 11:00 a.m. at the McCullom Lake Village Hall, 4811 West Orchard Drive in McCullom Lake. In lieu of flowers donations may be made in her memory to Old Friends (retired race horses), 1841 Paynes Depot Road, Georgetown, KY 40324. All arrangements were entrusted to Strang Funeral Chapel & Crematorium, 410 East Belvidere Road, Grayslake, IL 60030. For information please call 847-223-8122 or visit www.strangfuneral.org.